For the past 15 years, I have a built a reputation of instructing the best "up and coming" drummers in the area. Recently, my guitar program has created a huge buzz throughout the local communities as well. Hence, my impact on the local music scene has been a tremendous one. I'm educated in all styles of music, and my teaching program has been admired and awarded by producing students who now teach and perform professionally. In addition, I managed every music studio I taught at until I opened up my own where I managed and taught for 7 years before relocating to Las Vegas. I currently am now accepting new clients in Las Vegas for drums and guitar and globally on-line, I AM background check verified. I'm an extremely passionate educator and performer with over 20 years playing experience and 17 years teaching experience. I have toured and recorded with national acts who's music was showcased and featured in major motion picture and video game soundtracks. Recently; I just recorded with the former original lead singer of "Toto": Bobby Kimball ("Africa", "Rosanna", "Hold the Line"). For the past 15 years, I have a built a reputation of instructing the best "up and coming" drummers in the area. Recently, my guitar program has created a huge buzz throughout the local communities as well. Hence, my impact on the local music scene has been a tremendous one. I'm educated in all styles of music, and my teaching program has been admired and awarded by producing students who now teach and perform professionally. In addition, I managed every music studio I taught at until I opened up my own where I managed and taught for 7 years before relocating to Las Vegas. I currently am now accepting new clients in Las Vegas for drums and guitar and seeking projects to work for (wedding bands, event or studio drummer). 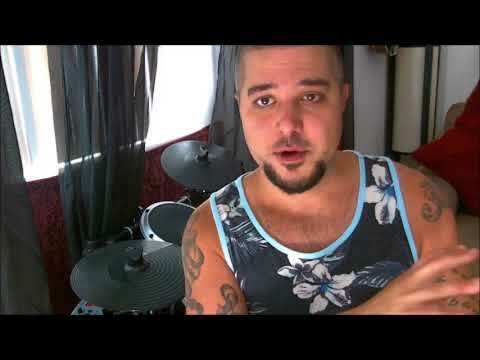 Free Drum Lesson with me! My "welcome" video for drum lessons, guitar "welcome" video coming soon!